The latest addition to our product range is this new portable digital antenna which can be used for Freeview digital television (DVB-T) and DAB digital radio. It has a magnetic base with a protective rubber bottom and is weatherproof so can be used indoors and outdoors and comes with a 5 Metre cable fitted with an F connector and TV Coax adapter is also included. 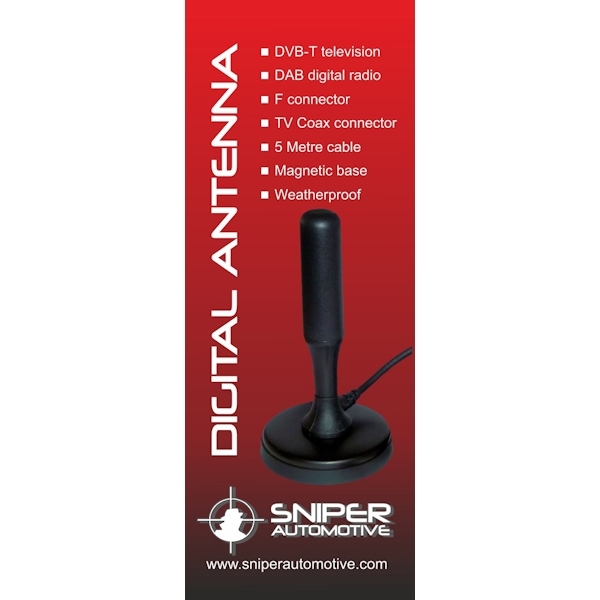 The Digital Antenna is available to purchase here. 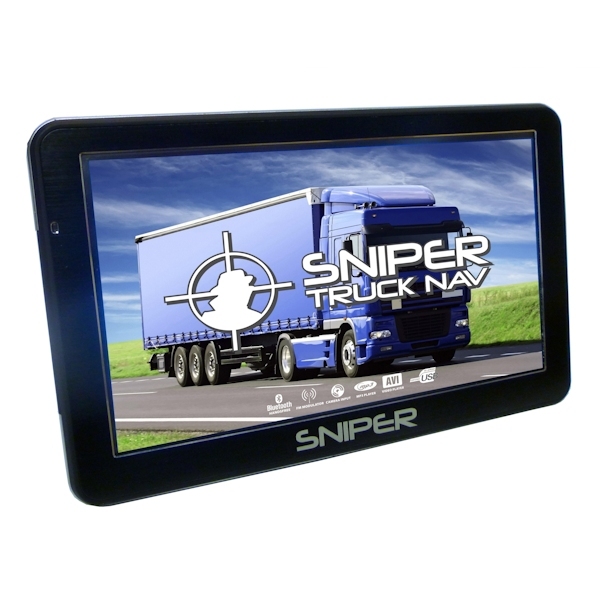 Our popular Sniper SN-701T 7″ Truck Nav satellite navigation system is now back in stock and available for same day dispatch (orders placed before 1pm Mon-Fri). Now in snazzy new packaging! Our sat nav dash mat has been a huge success, so much so that we briefly ran of stock at the end of February but fear not they are available again. If you aren’t familiar with the dash mat it allows you to attach a sat nav windscreen mount to it and it sits securely on your dashboard held in place by the rubber mat. 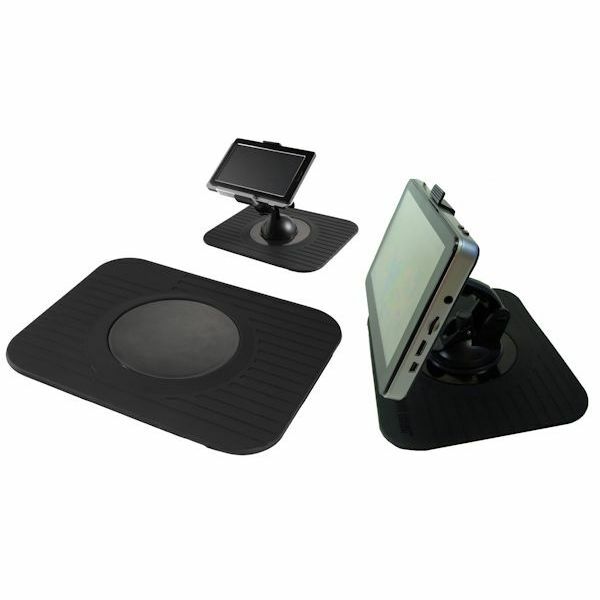 It works on almost all dashboards including sloping ones and those with a mottled finish and at only £5.99 including delivery it is a cheap addition to your sat nav and also makes a great gift. Buy a sat nav dash mat here now. The 2015 CV Show will take place at the NEC, Birmingham from 14th to 16th April 2015 and you will be able to see and buy many of our products at stand no. 3F102. 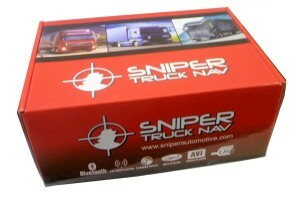 The new 2015 version of the popular Sniper Truck Nav will be available, now with a faster processor, increased memory and the latest 2015 mapping. 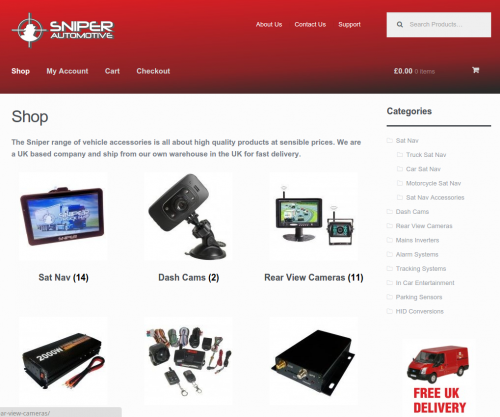 We have revamped our website and added online ordering so you can buy direct. We are offering free standard UK delivery on all products with an option to upgrade to next day courier for only £6. Payments are processed via PayPal but you don’t need to hold a PayPal account to pay using this method, any major credit/debit card can be used.